House plan suited to built in a hilly area. Total area of this single floor house is 1780 Square feet (165 square meter) (198 square yards). Designed by Shell building designers, Thrissur, Kerala. 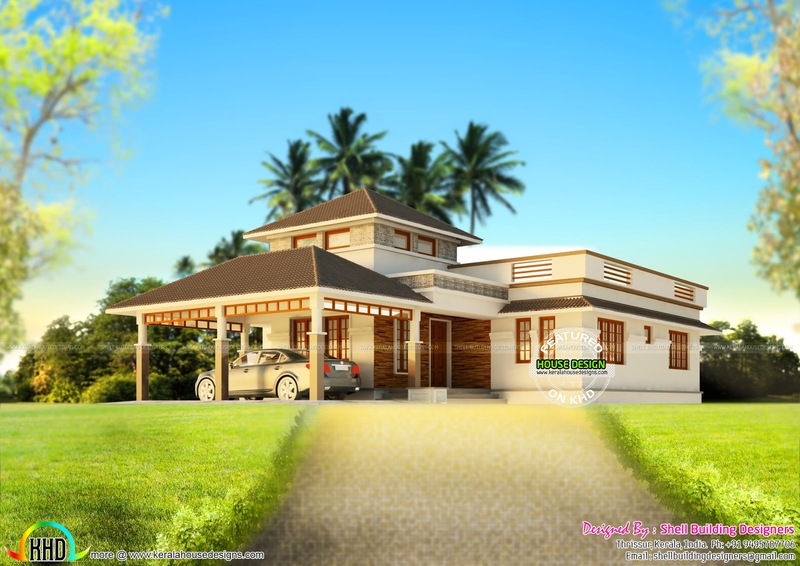 3 comments on "House design for hill area"
can u please me the plan and the estimated cost at snehasusan.mathew2015@vit.ac.in as we would desire to build a home like this at pathanamthitta district,kerala. please reply as soon as possible.